halloween is my favorite holiday. i however am not a big fan of going out and doing things on halloween. 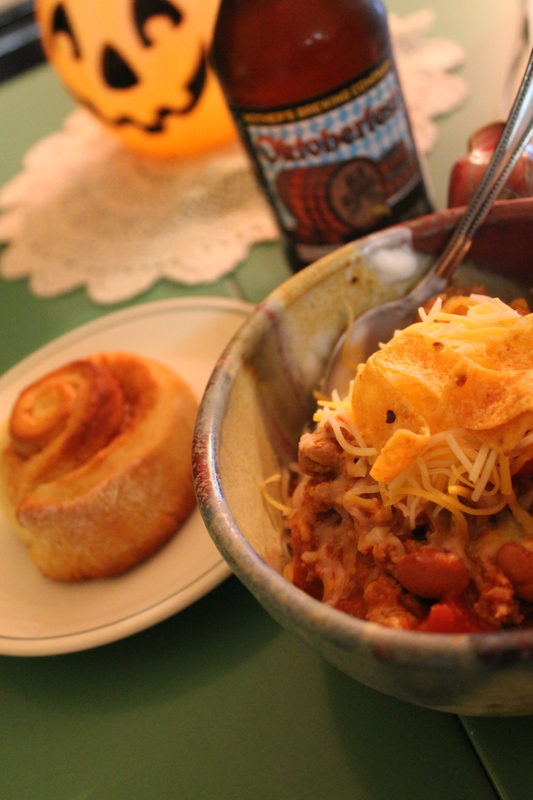 my favorite way to spend halloween is cooking up a yummy dinner, drinking a fall beer, and watching my most favorite halloween movie, “arsenic and old lace.” this year i cooked up some turkey chilli to make frito pie, homemade cinnamon rolls and treated myself to a mother’s oktoberfest brew. while i watched the movie i consumed my dessert an andy’s pumpkin pie concrete, honestly it’s there best specialty concrete they make. it was a prefect halloween!